Instruct the client not to squeeze a boil or pimple; the protective wall of induration that localizes the infection should not rupture or be destroyed. Teach regular and effective hand washing. Instruct the client to bathe at least daily with bactericidal soap. Injured skin areas should be kept clean and covered with clean gauze to prevent infection. 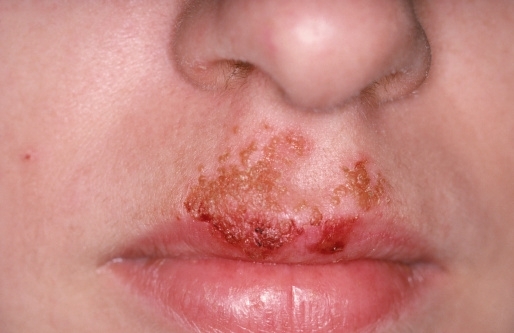 Inform the client and families that impetigo is a contagious disease. Cleanliness is a priority. Encourage the use of separate towels for family members. Isolate drainage in severe cases of folliculitis, furuncles, or carbuncles. Cover the mattress and pillow with plastic material. Apply agents for nonbullous impetigo such as benzathine penicillin or oral penicillin or erythromycin as prescribed. Apply agents for bullous impetigo: penicillinase-resistant penicillin or erythromycin as prescribed. Topical antibacterial therapy is the usual treatment for disease that is limited to a small area. The topical preparation is applied to lesions several times daily for 1 week. Lesions are soaked or washed with soap solution to remove central site of bacterial growth and to give the topical antibiotic an opportunity to reach the infected site. IV fluids, fever sponges, and other supportive treatments, are indicated for clients who are very ill or suffering with toxicity. Apply warm, moist compresses to increase vascularization and help with resolution of the furuncle or carbuncle. This entry was posted in Nursing Interventions and tagged impetigo, nursing interventions. Bookmark the permalink.